This pair of photographs are what prompted me to continue on the path of revisiting some of the locations of photographs taken by Edwin Smith. The full story behind these is documented in detail on my photoblog at real-photographs.co.uk. 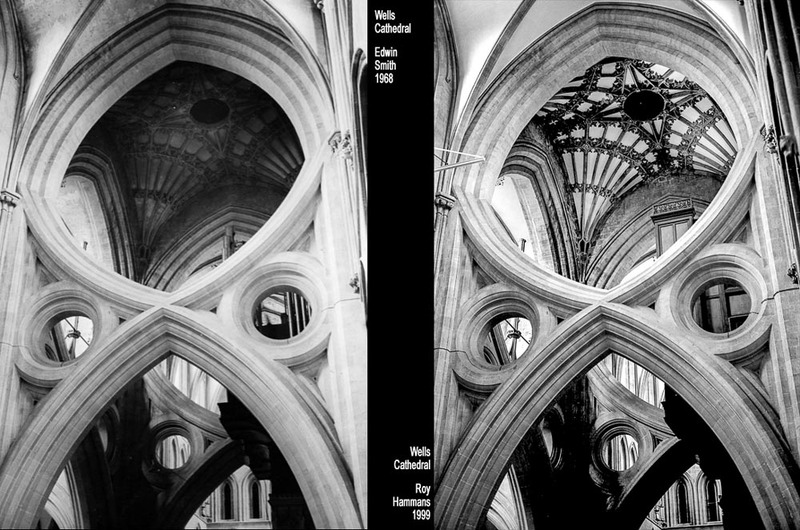 I made the image on the right on film in 1981, before I had heard of Edwin Smith or knew any of his work. The 35mm negative was never printed and laid forgotten in my files for 30 years. During the 1990s, when printing Smith’s photographs for his widow Olive Cook, I came to make a print of his photograph of Arbor Low stone circle in Derbyshire, from a negative he made in 1967. A scan of this print is on the left. The remarkable similarity between his image and my own, finally printed in 2012, left me quite astounded. I came to act as printer for his negatives because of Olive Cook’s stated belief that I understood his intentions so well that she was confident that I could do justice to his work. Ironically, she never lived to see this pair of pictures, as I didn’t realise the similarity during her lifetime. The scissor arch, Wells Cathedral, Somerset. Another chance discovery from my negative files. 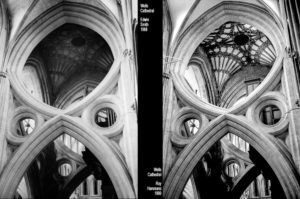 I had photographed this arch in 1999 and not realised until seeing Edwin Smith’s version how similar my chosen viewpoint was. My version was photographed on 6×9 roll film using my Fuji GW690III camera.